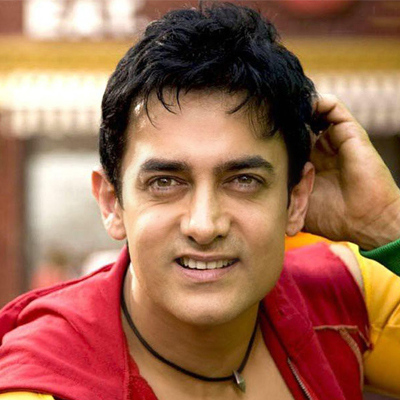 Most popularly known in B-town as Mr.perfectionist,Indian Actor Aamir Khan was born on 14th March 1965 in Mumbai. He completed his schooling from J.B.Petit,St,anne's and Bombay Scottish and went to colleg to NM College in Mumbai. He began acting at a tender age and first appeared as a child artist. He made his debut with the film Holi. His frist major hit film was Qayamat se qayamat tak where he starred opposite Juhi Chawla.Aamir Khan is most popularly known for the box office hits like QSQT,Raakh,Dil hai ke maanta nahi,Sarfarosh,Rangeela,Ham hain Rahi Pyaar ke, Joh jeeta wahi Sikandar, Andaz Read more..
Mumbai, Dec 31 (IANS) Megastar Aamir Khan on Monday announced his new production, "Rubaru Roshni", which will premiere on the small screen. MUMBAI: With due apologies to Aamir, Shah Rukh and Salman, the biggest Khan superstar of India currently is Taimur Ali Khan.